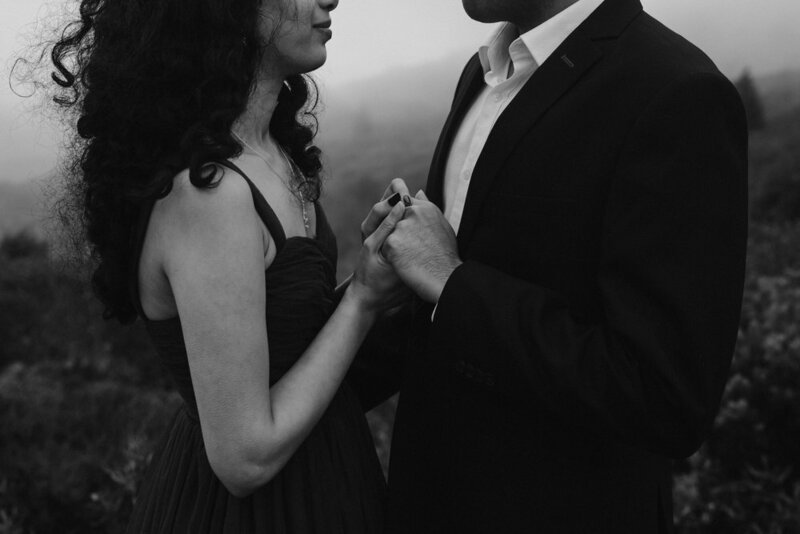 Atop Mount Tamalpais, Juilee and Rishabh stood quietly and in embrace, in awe of the surrounding majestic beauty. The wispy fog blew over the rolling green hills and birds took flight, and as Rishabh hugged his soon-to-be wife on the edge of the pacific, the salty sea wind blew Juilee's black curls across her face. 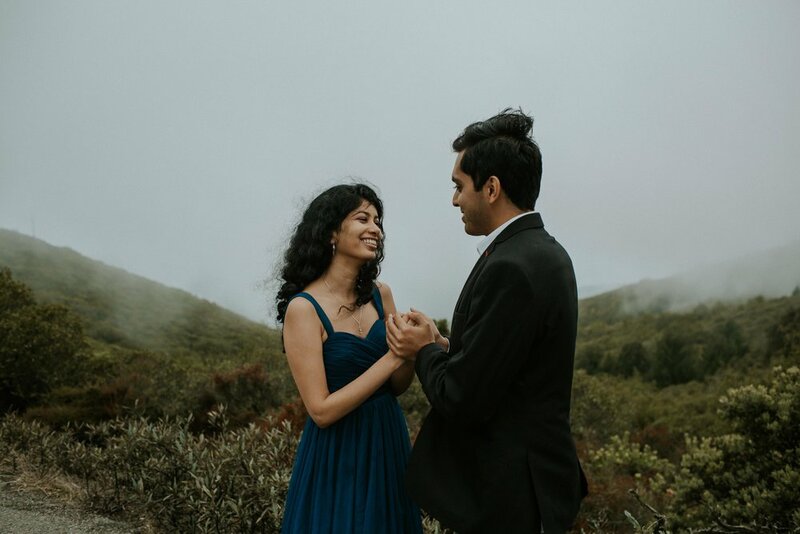 Our time with Juilee and Rishabh was everything we dream of in photography--mountains, the sea, forest, fog, moody sky and of course, a couple completely in love and raw. They were some of the kindest, most sincere people we've ever met. Juilee and Rishabh, thank you for your faith in our work. Thank you for sharing your stories, life and culture with us. In gratitude, we will always remember our day with you and we are looking forward to our paths crossing again soon.